Almost half of all Audi diesels on UK roads are affected by the emissions scandal and will be recalled for modification. Of the 1.2 million cars that are being recalled by the various Volkswagen brands in the UK, Audi will account for around 400,000 cars. 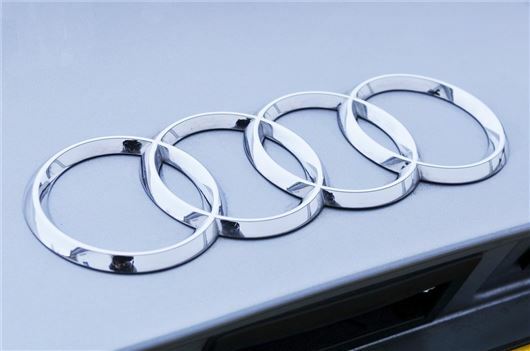 That means 45 per cent of all Audi diesels on the road are affected. The cars are fitted with the older EA189 EU5 2.0 TDI diesel engine produced from 2009. Similarly a large proportion of Volkswagen and Skoda cars are affected - 37 per cent of all diesels on the road from these two manufactuers will be recalled. Volkswagen will be forced to modify more than 500,000 cars. The scandal also affects 25 per cent of SEAT diesel on UK roads. Those owners whose cars are involved are set to be informed by their local Volkswagen dealer if their car is affected by the issue. The firm reiterates at all cars are technically safe and roadworthy. The numbers show how big the recall in the UK is set to be and how popular the EA189 engine has proved with buyers. With the change to EU6 engines, the Volkswagen group brands no longer sell cars with this engine so no new vehicles are affected. The figures come from the RAC Foundation. Director Steve Gooding comments, "For many of us buying a car is the biggest purchase we make. Yet when choosing which model to get can we now trust what we are being told?" "Even before this scandal there was plenty of debate about so-called dirty diesels with suggestions that diesel cars will be banned in city centres or at least charged to enter urban areas. Now the confusion amongst the nation’s eleven million diesel drivers has been compounded by the biggest automobile manufacturer on the planet." he added.